ESDMC prides itself as a pioneer training group in ESD Control both in the Electronic and Non-Electronic Fields. The Trainings can be located anywhere In India –rarely outside India at the Customers Place or at a location chosen by ESDMC . ESDMC has trained around 15000 engineers and Scientists in the field of ESD. 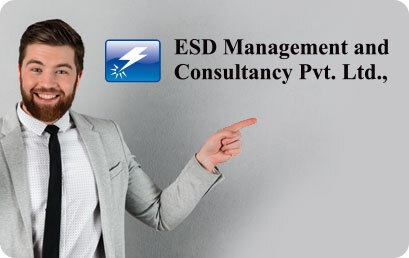 ESD Management and Consultancy Pvt. Ltd., is a recognised Training Centre and Test Centre for ESD and other subjects for iNARTE qualifying tests, and supervises the exams on behalf of iNARTE in India, since 3 years. Education and awareness about ESD is critical, and every industry much educate their employees and upgrade their facility to protect themselves from the disasters of ESD. © 2016 ESD Management Consultancy Pvt Ltd. All Rights Reserved.